Tampa, Florida has a very hot and humid climate, making a good air conditioning system a must in any home, apartment, or business. To keep your air conditioning working in top shape, there are a few easy tips you can follow. With regular air conditioning maintenance, you will extend the life of your system and make it more efficient, saving you money on your energy bill. Changing the filter is both an easy and important part of air conditioning maintenance. Over time, the filter becomes clogged and dirty, reducing the efficiency of your system. Additionally, now that the filter is clogged, air might bypass the filter and carry dirt into the evaporator coil, reducing its ability for absorbing heat. By replacing your filter, you can lower the energy consumption of your system by 5 to 15 percent. Central air systems will have their filters somewhere in the return duct. Other locations may include walls, ceilings, furnaces, or in the air conditioning unit. You might be able to reuse a filter, but you must check the type you have as some have to be replaced. If you keep your filters clean, then not much dirt will get into the system and onto the evaporator coil. However, over time some dirt will still get into it and reduce its ability to absorb heat, making it another essential air conditioning maintenance step. About once a year, check your coil and clean it. 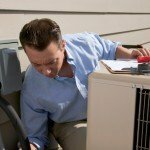 The coil should be cleaned by an experienced HVAC technician. If you do it your self, you risk getting shocked, as it is an electrical component. The technician will also maintain the area around the coil to keep it clean, allowing for adequate airflow. When you perform your yearly cleaning of the evaporator coil, take a look at the fins. These can get bent easily, which will block the airflow. You can purchase a fin comb to put them back to their proper position. The drain system can also sometimes get clogged, which will stop the reduction of humidity, leading to excess moisture that will hurt your walls or carpet. Some people will just pass a stiff wire through the drain channel to make sure it is clear. But the line will often clog up again in a very short time. You should be blowing out the line and adding a biocide to the drain pan to keep the algae from clogging the line. An experienced technician will have the tools and know-how to do this properly. By doing these regular air conditioning maintenance steps, you will keep your air conditioning running at top performance. 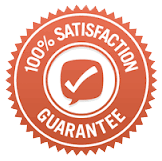 If you notice it starts to not work as well, you can always hire a professional to come out and perform a more thorough maintenance check and fix anything that is not working correctly. Through keeping up with your air conditioning system, you will be able to beat the heat of Tampa.